Many parents now look at homeschool learning methods for their children. By sending your child to your own home, you don’t have to bother to shuttle and you don’t have to worry about your baby’s food. You can also select the instructor or tutor yourself that you feel is suitable for your child. 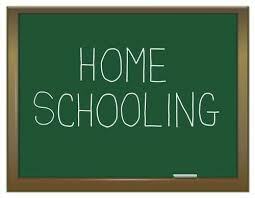 However, is homeschooling right for your child than in an ordinary school? Here are a number of things you need to consider. What is The Benefits of Homeschooling? Homeschooling is an independent learning method. With school at home, parents and children can determine their own topic, time, duration, and how to teach according to the child’s interests, abilities, and learning styles. Although indeed, most subjects taught in the homeschool curriculum still refer to the national standard curriculum. Reporting from the page Parents, author of The Element, Ken Robinson said that the ideal key to education for children should not be generalized. Every child has different talents and interests and the ability to process information. With homeschooling, you are the one who best understands your child so that this method can be more optimal to develop the talents of each child according to their desires and abilities. The development of maximum interest and talent makes children later able to be more flexible to adapt to the outside environment with any conditions. One of the most significant advantages of homeschooling is in terms of flexibility. You, the child, and the teacher can negotiate with each other to determine the best time to start learning and how long it takes in a day. You can also consult to choose the location (not always at home, you know! ), Frequency, and schedule of subjects you want to study in one day. You and your tutor can even change your child’s learning schedule, if he starts feeling bored. For example, when learning about the solar system, rather than being bored reading books and memorizing planetary names, you can invite them to “comparative studies” to the Planetarium. Even for subjects such as Physical Education and Practice that require hands-on practice, you can move children’s “classes” to the field or city parks and music studios. Learning atmosphere that does not seem stiff or boring can help children to be more energetic and know the contents of the lesson. He can also concentrate more on learning without interference from others. If he finds obstacles in between education, children will be easier to ask and immediately get solutions without hampering the learning process of others. In contrast to formal schools, for example, when a child does not understand mathematics, the teacher will teach the topic until it is wholly completed for all students in the class. The question session in the middle of the work learning to train can hamper the learning periods of other students in the class. By attending home, the tutor can focus solely on one child. Teenagers who don’t get enough sleep want to be negligent, impulsive, hyperactive, and opposed. So, it is no longer a new phenomenon to witness the academic performance of adolescents who are not sleepy enough to drop compared to other friends. Lack of rest will also have a negative impact on children’s behavior. One study pursued that each of the 10 minutes delaying night rest, there was an additional risk of 6 percent for them to consume alcohol or marijuana. Lack of sleep also increases the risk of school children becoming dependent on anti-anxiety drugs and sleeping pills. The effect of the abuse of these drugs will in turn trigger children to be more worried and have difficulty sleeping. Another study in the 2015 Journal of Youth and Adolescence, quoted from the Huffington Post, pursued that teenagers who slept six hours each night were told three times more likely to suffer from depression. Lack of sleep also increases the risk of child suicide attempts up to 58 percent. Well, another use that can be obtained from homeschooling children is that you can monitor their relationships. That way children will avoid the effects of smoking and drug consumption and bullying that are vulnerable to affect children in their transition. In addition, parents can spend not less time with children by accompanying them to study at home. The most important thing to consider is the limited scope of association and friendship of children. Because, homeschooling makes children more focused on interaction with teachers and their parents, not on peers like formal schools. In fact, the presence of friends can train children to foster a sense of empathy and develop social skills. To overcome the social problems that may be faced by homeschooling children, you as a parent need to make your child still feel connected to the world of school and his peer environment. This depends on how you are to equalize homeschooling according to the portion so that children do not feel alienated in their relationships. In addition, homeschooling children do not have school facilities in general, such as laboratories, libraries, sports centers, or art studios. There are certain subjects in formal schools that require children to explore their abilities directly, such as researching in the laboratory, physical sports, extracurricular activities, and other motor skills. To invite your child “comparative study” yourself, you certainly need more mature preparation and need to spend on your personal pocket. So, is Homeschooling Good for Your Children? Selection of homeschooling for children can be influenced by various factors. For example, because children suffer from serious illnesses that make their activities limited, or other causes that make it difficult for children to reach formal schools. However, the most frequent reason is because parents feel able to provide better education through homeschooling than other formal schools. In the end, the decision to send your child to home is in your hands as a parent who understands him the most, as well as the opinions of your own child. If your child really wants to go to public school, then it’s likely that this is the best for your child. The main key is how you as a parent are able to communicate your child’s needs and abilities to the teacher, both at school and homeschool tutors. What needs to be considered, if children do experience problems during some school activities, such as academic problems or children become victims of bullying, you cannot immediately choose homeschooling as a shortcut. Of course, you have to find the right solution for your child’s problem by discussing it with the teacher at the school. What Makes Education So Important?